We value our clients' experience at Tyler Veterinary Center. If your pet or animal is currently a patient, please feel free to complete the following Client Experience Questionnaire. The Questionnaire is in Adobe Acrobat format, and requires the free Acrobat Reader to view. "It was time to put down our family dog. He had been part of our family for 13 years. I called Dr. Phillips and she told me to come right in. When I arrived, the staff at TVC were so caring, thoughtful, and supportive during this very painful process. Before they did anything, they told me what to expect, and how he would react and feel. They gave me all the time I needed to say goodbye, and then stayed with me until the end. I owe Dr. Phillips and her staff so much." "I am a police officer in the Tyler/East Texas area. My K9 partner had to have a procedure done, and I heard good things about the Tyler Veterinary Center. I set up an appointment and I got 100% service with the Vets and their staff. The procedure went great, and my K9 partner and I were back to our normal working duties in just a few days. I've decided to make this my permanent Vet for my partner from now on. Thanks!" "Thank you to all the Vets, Vet Techs, and receptionist who have cared for Kaiser for the last 12 years. They were all compassionate and loving. They each treated Kaiser special in their own way. They were respectful and supportive yesterday when they surrounded Kaiser and myself with love as we set Kaiser free to fly and be whole again. Thank you for your help in this difficult time." "Simply the best. We have been lucky enough to have found Tyler Vet over a decade ago. Today we brought in our 7 week old lab for her first visit. What a pleasure to work with professionals that really care." 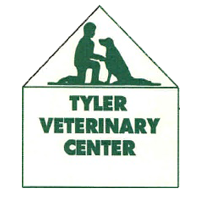 "We were very pleased with the quality of service that our Basset Hounds received today from Dr. Whitley and all of the staff at Tyler Veterinary Center. They did a thorough exam and also took time to answer all of our questions. We were seen in a timely manner and will be back. Thank you!" "Tyler Vet Center is great. They have always taken great care of our two dogs. I can drop the dog off for shots and run over to the grocery store and come back and pick him up. Super convenient. We have a Standard Poodle and Dr. Lancaster is very familiar with this breed. Dr. Phillips helped us with chemotherapy for our lab. And the newest doc there, Dr. Whitley helped make our older pet comfortable in his later days. I recommend them to anyone."